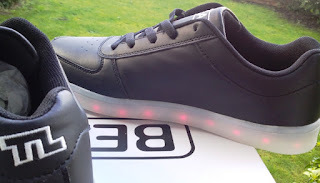 BEAM Rechargeable Light Up Shoes For Adults! Fashion trends come and go, and some never get out of fashion like LED light up shoes! 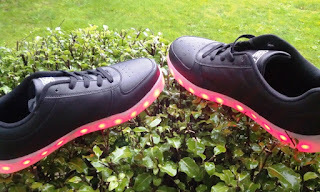 LED shoes are easily some of the most popular wearable technology at the moment, and not just among kids (the blink and flash of LEDs also appeal to big kids alike, like myself). The quirkiness and simplicity of LED light up shoes makes them such a popular gadget to have, and luckily you don't have to fork out an arm and a leg to own a pair of LED shoes. 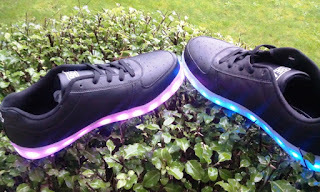 BEAM light up shoes for adults cost less than 50 quid (70 bucks) and do exactly the same as the more expensive LED shoes. Inside each BEAM shoe there is a micro USB port that you use to charge the shoes, just like you would your phone or tablet. There is a multi-functional button on the micro USB port that you press to power on (and off) the shoes and select all the various color options. There are eight LED color settings in total (Green, Red, Blue, Yellow, Purple, Turquoise, White), which are selected every time you press the button. The last setting cycles through all the colours continuously. 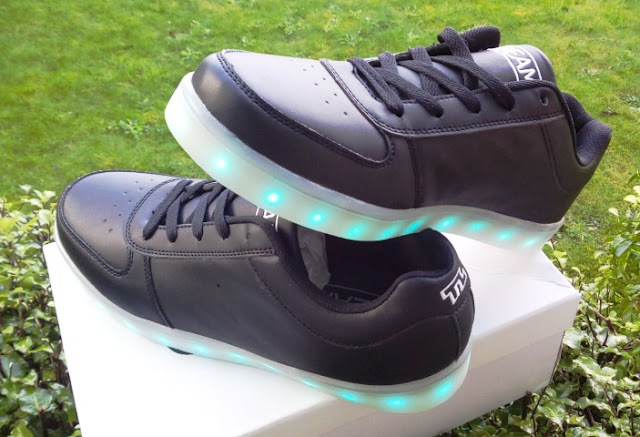 BEAM light up shoes for adults also come with a standard micro USB cable that allows you to charge them via a laptop computer, or USB wall socket. 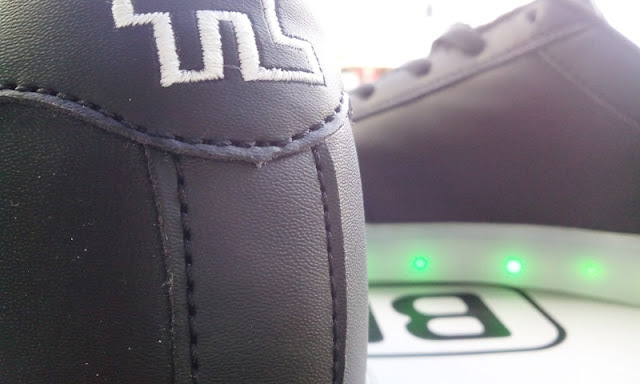 The built-in battery in the LED shoes last a good 8 hours and full charge takes only 3 hours (the USB charging cable is included). 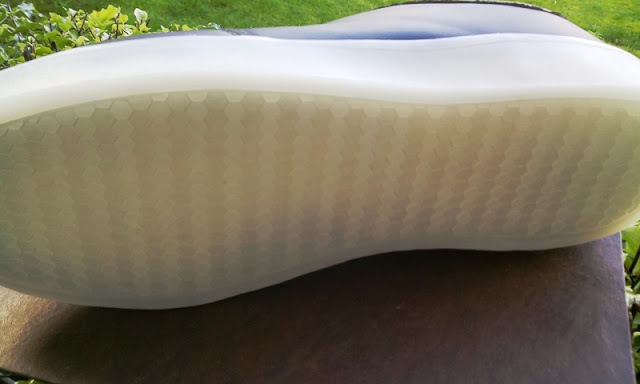 The sole part of the shoe is made of translucent silicone that lets the LEDs shine through, and the silicone rubber sole is thick enough that is comfortable to walk in them. 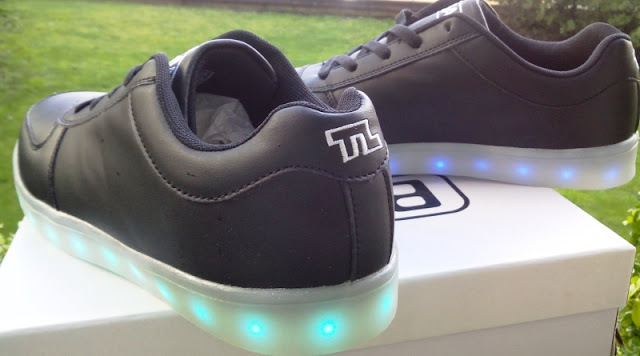 The top part of the LED shoes is made of durable and flexible polyurethane (PU) leather so they are easy to clean; while the stitching is well made throughout so these LED shoes will certainly hold up for many years. 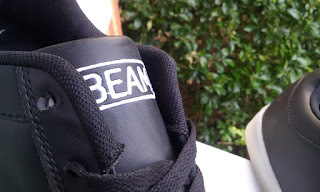 BEAM shoes are sold in the UK. Check out BEAM light up shoes for adults.